More and more stringent regulation on CO2 emission as well as consumer’s aspiration for lower fuel consumption has resulted in the development of hybrid combustion-electric vehicles and the appearance of zero emission electric propulsion. 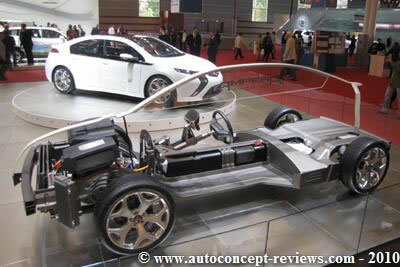 The Mondial 2010 was an exceptional exhibit of these technologies. Electric vehicles finally are reaching the production stage and consumer can already place orders. 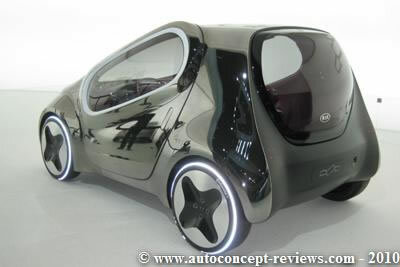 The Zero Emission Electric vehicles are a revolution in the propulsion mode as it differs in its use in everyday life. 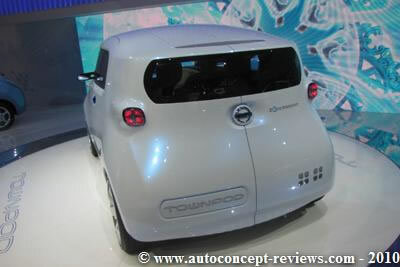 The vehicle is propelled exclusively by electricity stored in batteries. The batteries are charged on the electric power grid either at home or at work place or even at public charging stations. Battery charging time on conventional outlet takes some 8 hours; partial charging is possible. The operating range with a full battery is quoted 150 km for most vehicles and varies with usage condition. The cost of batteries is still extremely high and it is expected that mass production will solve this economic burden. A battery set weights between 250 and 300 kg impacting on the operating range and performances. Charging at home requires an outlet capable of supplying 16 A for six to eight hours; an electricity power supplier we consulted recommended to check the home supply. Some mention the requirement for a public charging station infrastructure. Field trials run for several years by car manufacturers tend to illustrate that 90% of recharging is at home or at working place. At the time of the Mondial 2010, at least in France recharging infrastructures is extremely limited and nobody can tell how many charging stations are available. Dealers will need to train technician to handle electric cars operating with 380 Volt in order to be able to handle after sale service. This type of vehicle requires a different approach in the use for transportation. It is expected that fleet vehicles for business use in limited range will be the first transportation sector to adopt zero emission electric vehicles. After a working day, the vehicles are returned to the company and can be recharged overnight for the next working day. As for private car users, we can expect electric cars to be the target for high tech early adopters and green conscious but they will have to use their electric vehicle for specific purpose as a second vehicle. 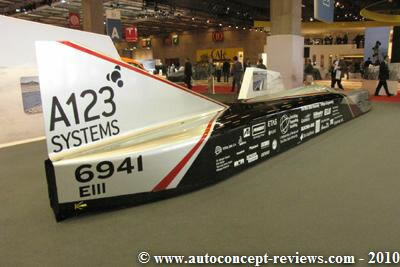 Mondial 2010 was the occasion to illustrate some exceptional electric challenge where Venturi participated.. It is worth mentioning the world landspeed record by the Venturi “Jamais Contente” with 495 kph (308 mph) over one kilometre in both directions in September 2009 on the Salt Flats of Bonneville (Utah,USA). The name “Jamais Contente” comes from its predecessor which driven by Camille Jenatzy in 1899, was the first vehicle in the world to cross the 100 kph (62 mph) threshold and it was an electric car. 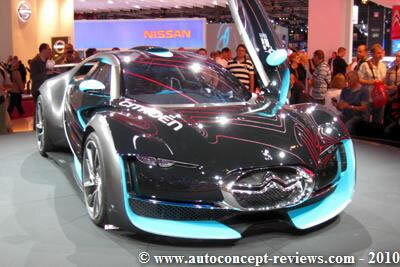 (See Car Reviews). The Venturi “Jamais Contente” 201 is known in the USA as Venturi Buckeye Bullet” and is an electric vehicle with power over 800 hp. The electric supply comes from 400 kg (900 lb.) Lithium-ion batteries. Total weight of the vehicle is 1,950 kg (4.300 lbs). Overall length is 11 metres (36 feet) while width and height are 1 metre (3 feet). This record comes as the first leg in a four year program challenge in partnership with Ohio State University. 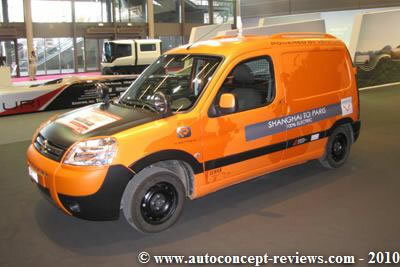 SHANGAI to PARIS – Another challenge was completed between May 3rd and July 13th 2010 when Géraldine Gabin and Xavier Chevrin completed the distance of 14.000 km between Shangai and Paris while driving an electric Citroen Berlingo powered by Venturi. 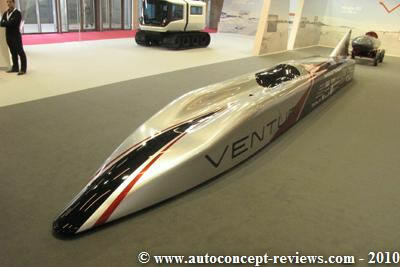 The specially prepared vehicle had 70,5 kWh Nickel Sodium Chloride “Zebra for Venturi” set of batteries. 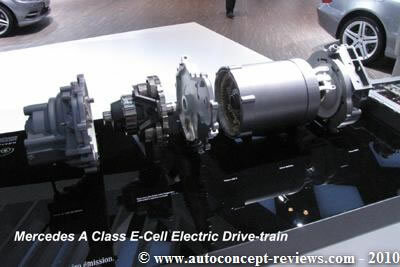 The electric motor was asynchronous three-phase of 21 kW and producing 180 Nm torque. 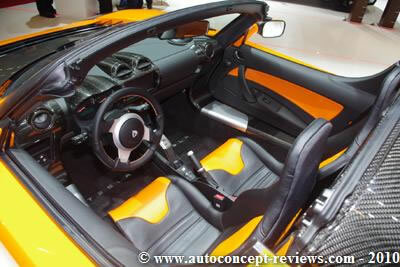 The operating range was 500 km and top speed limited to 110 kph. They had spent two-and-a-half months on roads and tracks crossing China, Kazakhstan, Russia, Ukraine, Poland, the Czech Republic, Germany and finally France. They had to recharge their car every night and sleep in the homes of local people they met. Antarctica by Venturi, consists of creating a zero emission vehicle capable of functioning under the extreme weather conditions of the Antarctic. The Venturi Antarctica will be tested at the International Princess Elisabeth Station, the first station in the Antarctic to be entirely powered by renewable energies. The test will occur during 2011 and 2012. The Antarctica is operated by “Drive-by-Wire” for its two electric motors. The vehicle weights 1200 kg and is capable of transporting 1 ton passengers and load for a maximum range of 150 km and at a speed limited to 40 kph for a safe riding in such area. 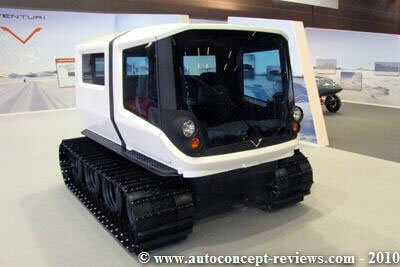 Ultimately, this means of transport should become widespread in the Antarctic, advantageously replacing for many tasks the high-pollution engines currently deployed in all Antarctic bases, engines whose fuel has to be transported on a permanent basis by airlifts. 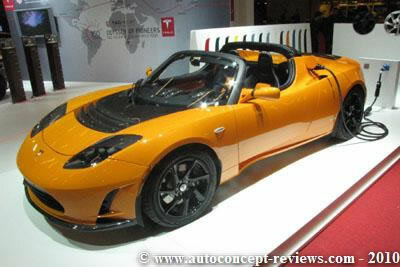 The Californian Company Tesla Motors has sold 1.300 electric Roadsters world wide. The high performance sports car, depending on the selected version, costs 84.000 to 99.000 Euros ( £74.950 to 86.700, US$ 109.000 to 126.000 not including taxes) and is capable of running 350 km on a fully charged battery set. 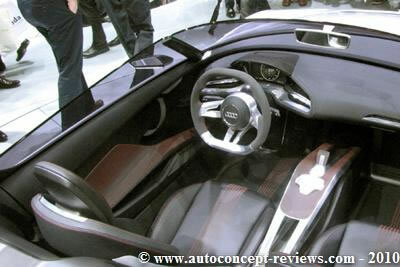 Performance for this two seat sports car is 0 to 100 kph (62 mph) in 3,7 seconds. 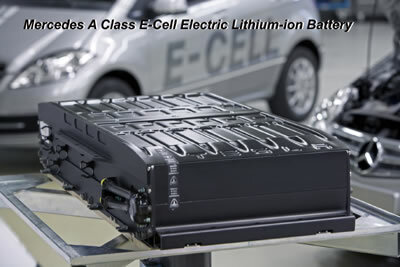 Tha Roadster’s battery pack is comprised of 6,831 lithium-ion cells, similar to those in laptop computers. Toyota and Daimler Benz have invested in Tesla Motors. Tesla builds electric powertrain components for electric versions of Daimler’s Smart city car and for the Mercedes A-Class. 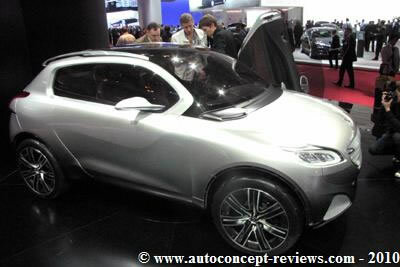 Tesla is also involved in the development and preparation of an electric version of the Toyota RAV4 for the US market. 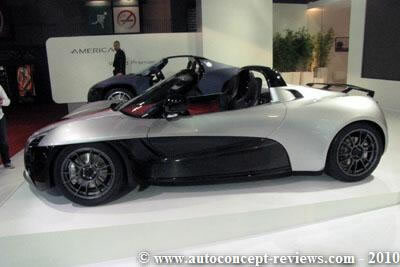 Venturi has sold 35 electric Roadsters Fetish as of today. A new version of the Fetish was introduced and will be available in 2011. 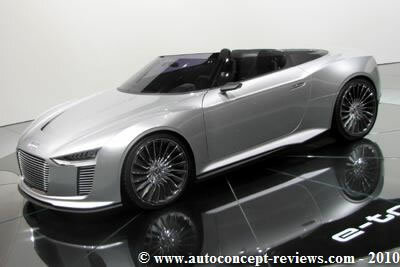 The Fetish is a two seats roadster with 220 kW central rear mounted electric motor and 54 kWh Lithium ion Polymer batteries. The Venturi Fetish accelerates from standstill to 100 kph (62 mph) in 4 seconds. Top speed is claimed 200 kph (125 mph). 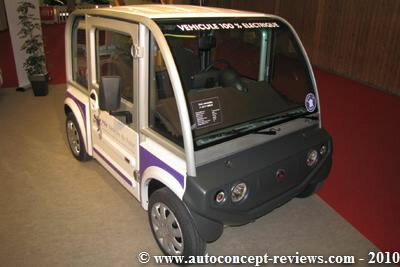 The operating range with a full battery is 340 km at 90 kph (210 miles at 56 mph). The price for the Venturi Fetish is 300.000 Euros (+ VAT). 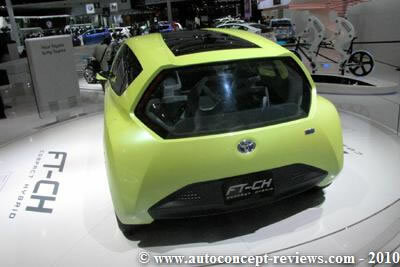 Total weight is 1.225 kg of which 450 kg comes from the battery system. 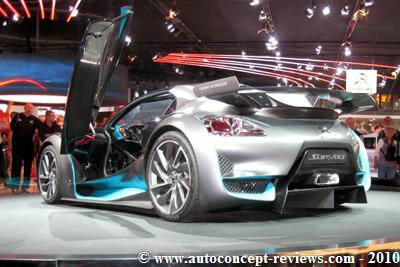 The Chassis is made of composite carbon sandwich aluminium honeycomb with aeronautic steel front and rear subframe. 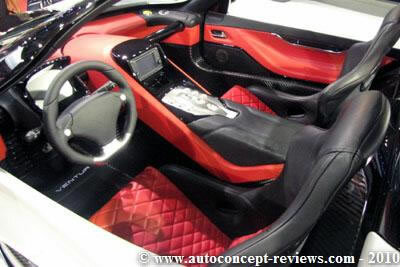 The body is made of carbon fiber composite. The Fetish benefits from assistance enabling Venturi technicians to perform a tele-diagnosis by means of a simple WIFI or GPRS connection. Venturi has completed the conversion of Citroen Berlingo and Peugeot Partner business version to zero emission electric propulsion. Delivery has started for 1.200 vehicles dedicated to PSA who commercialize them. 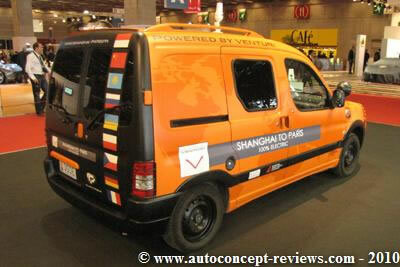 One Ventury powered Peugeot Partner cost 43.000 Euros and has an operating range of 120 km (75 miles). Top speed is limited to 110 kph (68 mph). 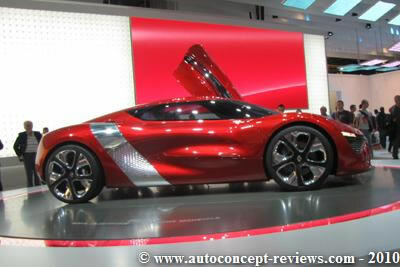 The 21 kW electric motor is supplied by a 23,5 kWh Nickel sodium chloride “Zebra for Venturi” battery. 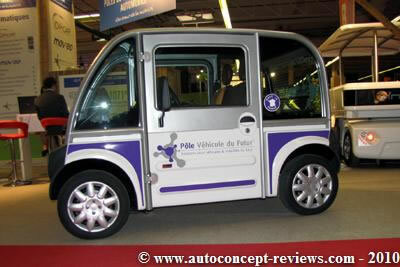 La Poste is starting to use such vehicle for mail distribution and will have 250 units in a first batch. The plan is to have 10.000 electric vehicles within the next following years. Other large companies with after sale service will use such vehicles. 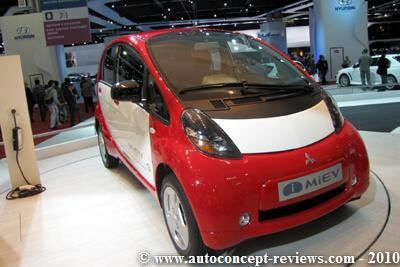 There are already 2.000 Mitsubishi MiEV in operation in Japan. Sales price is equivalent to 35.000 Euros. Operating range is 150 km. They are mostly fleet cars for Public administration. 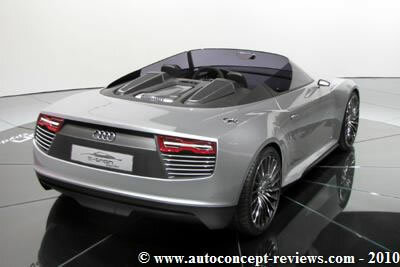 Starting from the Mondial 2010, all three models can be ordered in Europe and delivery is expected for the end of 2010. 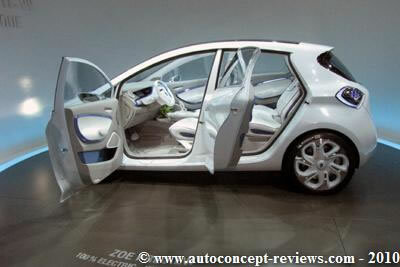 It is the first family sedan with electric propulsion proposed to the European market by large car manufacturers. 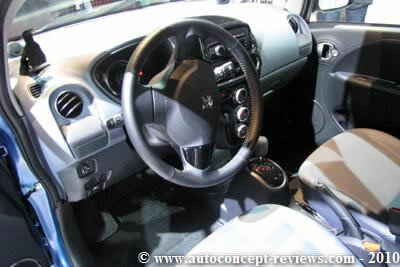 The price, in France, is 30.000 Euros (5.000 Euros State subsidy deducted) while Peugeot propose also a five year leasing at 489 Euros per month. An electric charge suitable for some 150 km is worth 2 to 3 Euros depending on electric rates. 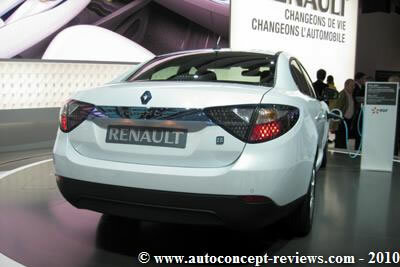 Renault Fluence Z.E. and Kangoo Express Z.E. 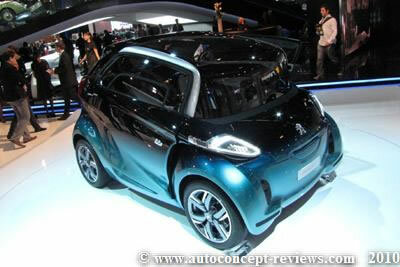 are the first electric cars to be offered by Renault. Orders can be placed immediately and delivery is expected during the first semester of 2011. 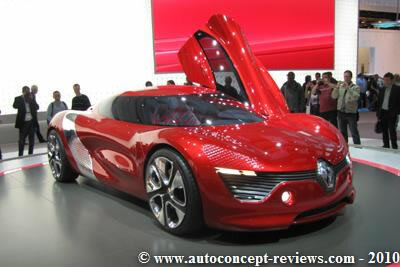 The proposition of Renault is to sell the car at a price equivalent to the Diesel powered equivalent model. The battery will be rented for around 75 Euros per month. 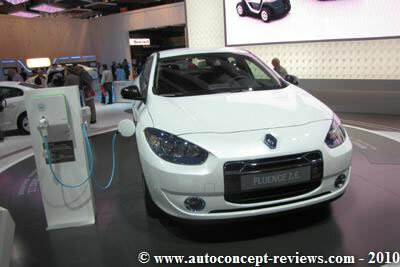 The Renault Fluence Z.E. in France will start at 21.300 Euros (5.000 Euros subsidy deducted) with a battery rental fee of 79 Euros per month (including VAT). The business purpose Renault Kangoo Express Z.E. will start in France at 15.000 Euros (5.000 Euros subsidy deducted) with a rental fee of 72 Euros per month (including VAT) for the batteries. 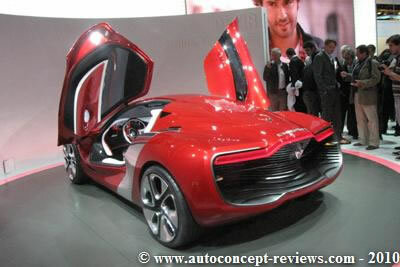 Ahead of the Renault Z.E. 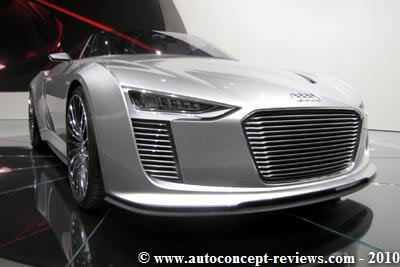 line-up’s release from the middle of 2011, it will be possible to glimpse models on the road. 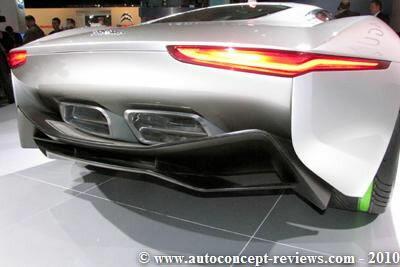 From the end of 2010 until first production cars arrive in the middle of 2011, Renault will be providing its partners with more than 600 prototype vehicles for evaluation purposes in pilot schemes involving 10 countries. 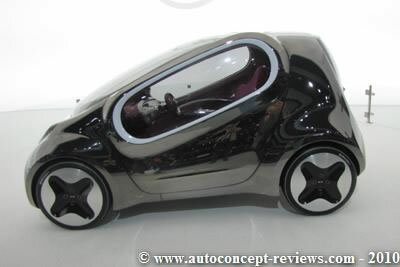 The electric urban mobility vehicle Renault Twizzy is announced for the end of 2011 while the Renault ZOE, the first Renault entirely developed as an electric car, is expected for 2012. 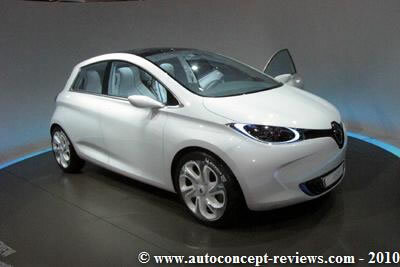 The Renault ZOE Preview presented at the Mondial is a production ready model. 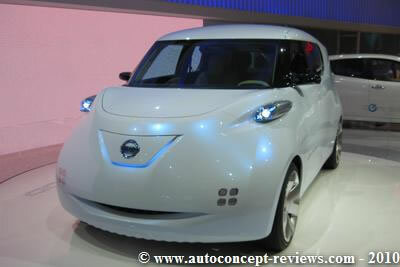 NISSAN LEAF is entering production and is mostly intended for the US and Japanese markets. It will however be available in Europe. For France, order can be placed at base 30.000 Euros (5.000 Euros subsidy deducted). Delivery is announced for June 2011. By the end of 2012, the Nissan LEAF will br available in all major European markets. 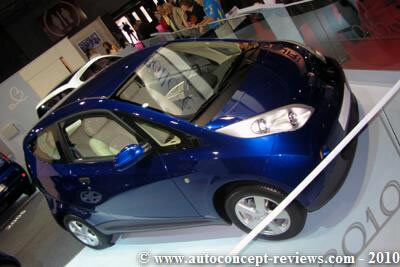 The Leaf has an operating range announced for 160 km (100 miles –US LA4 mode). Top speed is quoted 140 kph. 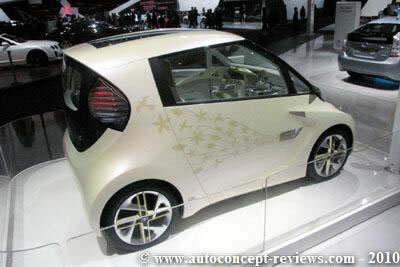 The 80 kW (108 hp) electric motor generates instantly its maximum 280 Nm of torque. The Nissan Leaf will be built in Japan, the USA and the UK, while the state-of-the-art lithium-ion batteries will be manufactured in Portugal and France as well as in Japan, USA and the UK, making the Renault-Nissan Alliance one of the world’s largest EV and EV battery manufacturer. 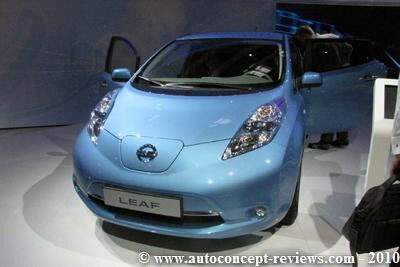 Nissan announces that in North America they have registered their 20.000th reservation for the Leaf by September 2010. Other Manufacturers are involved in field testing by leasing limited edition production electric versions of existing models to clients in several cities in Europe, Japan and U.S.A. These field tests are intended to accumulate experience on everyday use of electric cars and improve their development to fit customer’s needs. 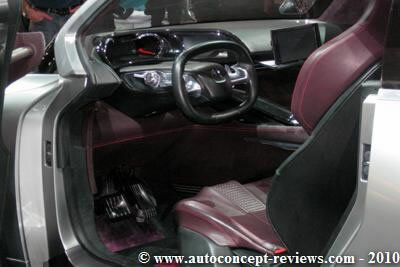 It is the case for BMW with the two seats MINI E and four seats BMW 1 Serie ActiveE; BMW is announcing a MEGACITY called electric car for 2013. 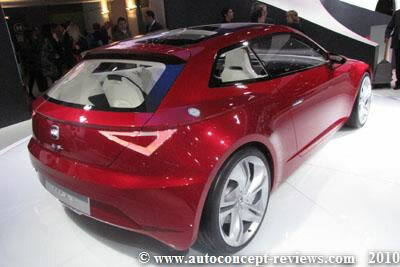 Volkswagen is announcing electric cars for 2013. Daimler Benz has started a program with 1.000 Smart Fortwo Electric Drive but the program will eventually be extended to 1.500 vehicles due to its success. 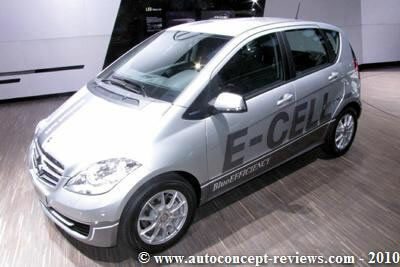 Daimler Benz is also launching limited production of Class A E Cell with electric propulsion. 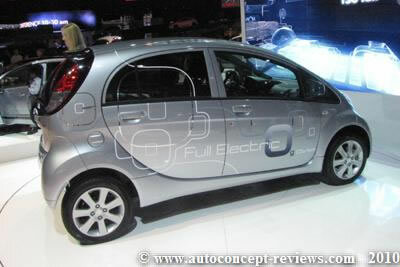 The Smart Fortwo Electric Drive will be available on the market by 2012. 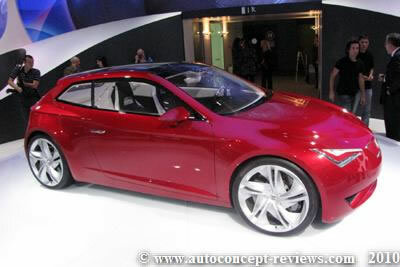 VOLVO is proposing the C30 DRIVe Coupé with electric propulsion for 40.000 Euros (5.000 Euros State Subsidy deducted). 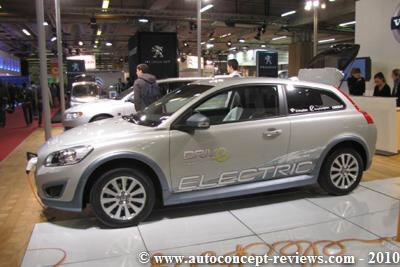 The four seats C30 DRIVe is propelled by 82 kW (111 hp) electric motor . Electricity storage is a 280 kg Lithium-ion battery allowing up to 150 km operating range. 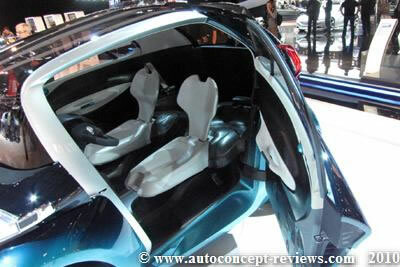 Bolloré Pininfarina Blue Car was presented in production ready stage with two doors rather than four. Bolloré announced 8.000 reservations for leasing the Blue Car while homologation is reaching final stage and first delivery are expected for early 2011. 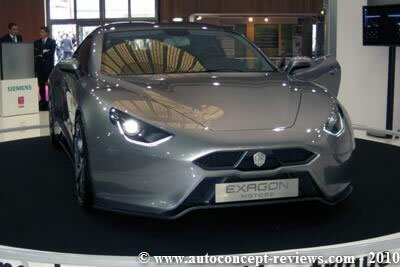 Exagon Motors introduced its Furtive eGT electric coupe that is expected to reach the market by 2012 for a price near 200.000 Euros. The project was developed by Exagon Motors with Siemens and Saft ; operating range is announced for 402 km at 50 kph or 197 km at 130 kph. A range extender may be proposed as an option to increase the autonomy. 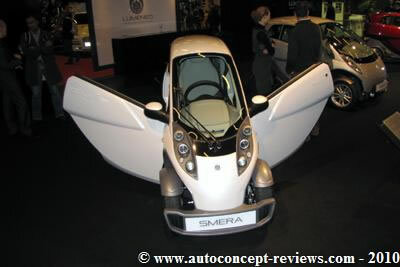 The Lumeneo Smera electric urban mobility vehicle is ready for production and is expecting the completion of the homologation process to start deliveries. This one plus one seat commuter is equipped with two 15 kW (40 hp) electric motors and a lithium ion battery. Top speed is announced for 110 kph. The operating range is quoted for 100 km. Weight is 525 kg. Base price is 28.400 Euros (5000 Euros subsidy deducted). 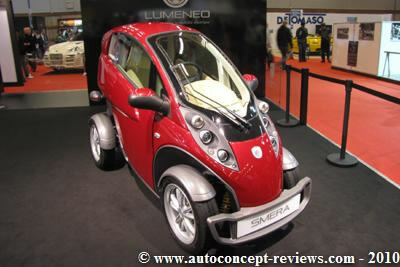 Lumeneo also presented a prototype of a two seats Neoma electric ultra compact car (length 2,2 m, width 1,6 m). 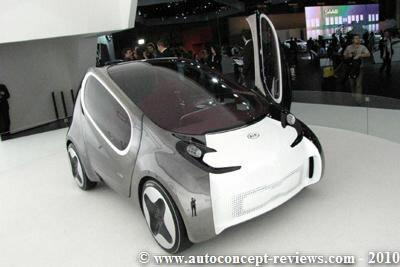 FAM Automotive presented its F-City small electric vehicle with two seats and a 150 litres cargo area. The F-City is 2,5 meter long for 1,6 m wide and 1,6 meter tall. This 840 kg vehicle is propelled by a 8 kW (11hp) electric motor. There are several versions depending on battery set. With Pb Gel battery the range is 46/60 km with a top speed of 45 kph ; the base price is 17.000 Euros (2.000 Euros subsidy deducted). The highest end version receives 12 elements NiMh battery for a range between 80 and 120 km, top speed is then 65 kph. Base price is announced for 31.000 Euros (2.000 Euros subsidy deducted). The use of a range extender in complement to the battery powered electric vehicles allows eliminating the “anxiety for depleted battery alert”. A range extender is an on-board electric generator propelled by a combustion engine running at constant speed; the range extender operates when the battery is in low charge and allow to follow the trip for another hundreds kilometres. 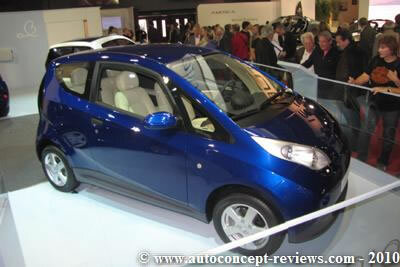 This solution is the base for General Motors Chevrolet Volt and Opel Ampera offer. 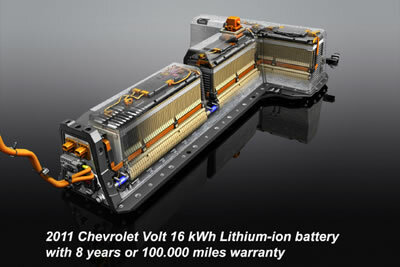 The Chevrolet Volt is entering the launching commercial phase in five American States. 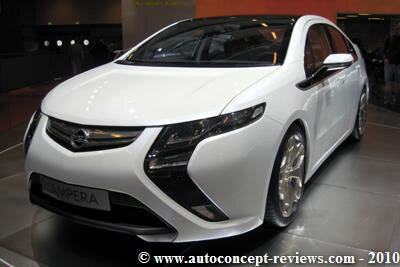 Opel Ampera is expected on the European market by the end of 2011. 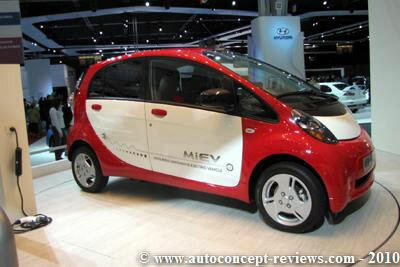 Announced base price for these vehicles is 41.000 US$ eligible in the U.S. for up to $7.500 in federal tax credit. 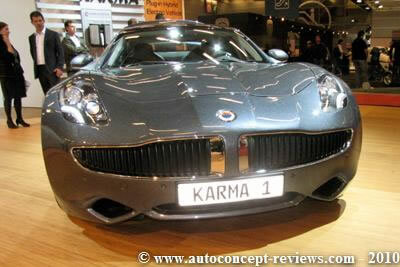 Fisker Company is entering production of its Karma four seats luxury sedan priced at around 100.000 Euros and announced for first delivery during the first semester of 2011. 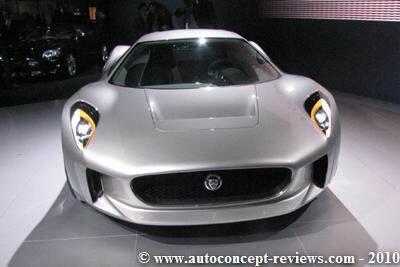 This solution is also the base for the Jaguar C-X75 Concept where micro gas turbines are propelling the range extender. 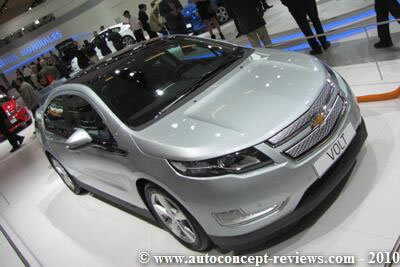 General Motors exhibited at the Mondial 2010 both its new Chevrolet Volt and its sister car Opel Ampera. When the Chevrolet Volt electric with extended range rolls off the assembly line at GM’s Detroit-Hamtramck plant, it will represent American engineering innovation as well as a significant investment in U.S. facilities and its workers. GM has invested more than $700 million in the U.S., primarily the state of Michigan, to retool, upgrade or build the manufacturing, research and development infrastructure responsible for the Volt. The car is assembled at Detroit-Hamtramck while the 16 kWh lithium-ion battery pack is assembled at Brownstown Battery Assembly plant and range extender 1.4 L four cylinder turbocharged engine comes form Flint Engine South. To travel 1,776 miles from Austin, Texas to New York City in a Chevrolet Volt would require 28 hours of constant driving and stops to refuel. The same trip would take 10 days of constant driving and recharging in a battery electric vehicle with a 160 km (100 miles) range and twelve hour recharge time. 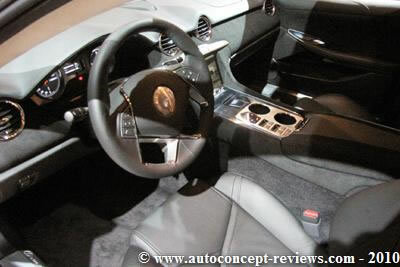 GM will produce only 10.000 of the vehicles through 2011 to keep a tight lid on quality control. The Volt will come with warranties to bring value and peace of mind including an eight year/ 100.000 mile limited warranty on the 16 kWh lithium-ion battery. 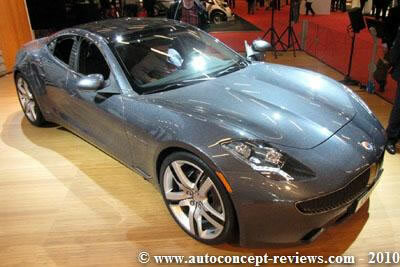 Fisker Automotive unveils the first production Karma plug in hybrid sedan. Nearly 2.000 reservations have accumulated since the presentation of the prototype two years ago. Base price is near 100.000 Euros. 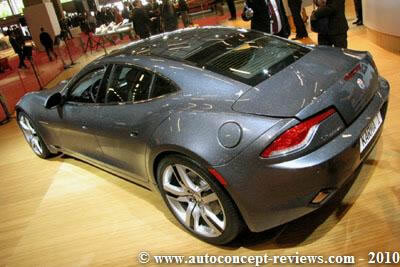 To date, Fisker Automotive has nearly 70 patents and patents pending for the Karma. The 5 meters four seat luxury sedan is equipped with Q-Drive plug-in hybrid electric powertrain technology. The Karma will run eighty kilometres (50 mi) in electric-only with no tailpipe-emission when powered by its 20 kWh Lithium-ion battery, which can be recharged in six hours on standard 240 volt current. When the battery is depleted, or when the driver engages Sport mode, the Karma’s 2.0 L, turbocharged four cylinder Ecotec gasoline engine automatically turns a 175 kW generator that sends electricity to two 150 kW (204 hp) electric traction motors mounted directly to the rear differential. The total range for the Karma is 480 km (300 mi). Production is performed in partnership with Valmet and capacity is planned for 15.000 units per year. Full Hybrid vehicles are propelled either by a combustion engine or by an electric motor or even by both propulsion modes together. 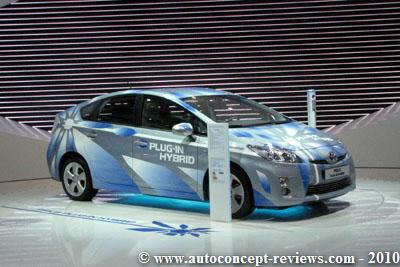 The key element of the full hybrid solution is that the vehicle is capable to run on electric propulsion alone. Toyota and Lexus have already sold 2,5 million such hybrid vehicles in ten years and are aiming at selling 1 million hybrid vehicles per year in 2015 for a total of 9 million vehicles placed on the worldwide market each year. 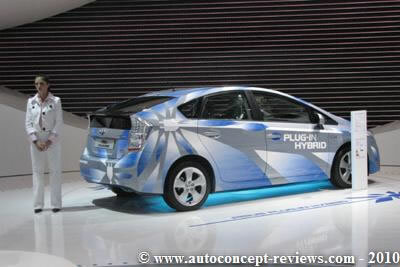 Toyota is completing extended field testing of its Plug in Hybrid Prius with 20 kilometre of full electric range. 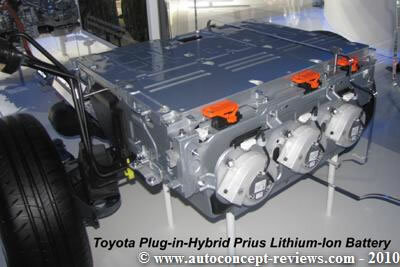 The Plug in Hybrid Prius have larger capacity Lithium-ion batteries that can be charged on the electric power grid as well as by on-board generator. 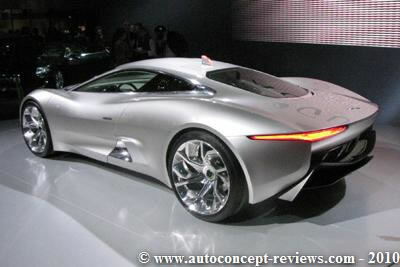 It is expected to reach the market by 2012. 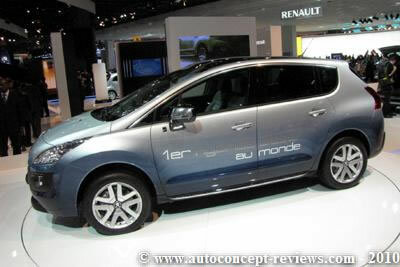 Peugeot and Citroen will enter this market in 2011 by the Hybrid4 solution. The Hybrid4 technique retains the existing combustion propulsion on the front axle and adds an electric motor for the rear axle. A set of battery is installed to supply the electric propulsion. An electronic control will coordinate the harmonious operation of the combustion engine and the electric propulsion. 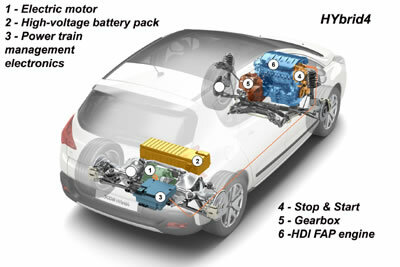 Mild Hybrid solution is a combination of combustion and electric propulsion where the electric motor never runs alone and is rather a “booster” for the combustion engine. Honda is proposing this solution on several models. 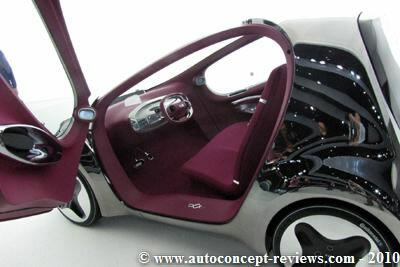 Avalaibility on European market is expected during 2011. 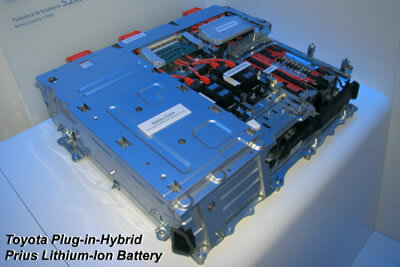 Toyota Plug in Hybrid Prius have larger capacity Lithium-ion batteries that can be charged on the electric power grid as well as by on-board generator. 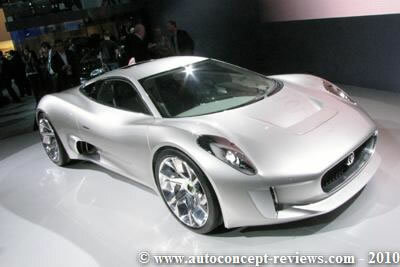 It is expected to reach the market by 2012. 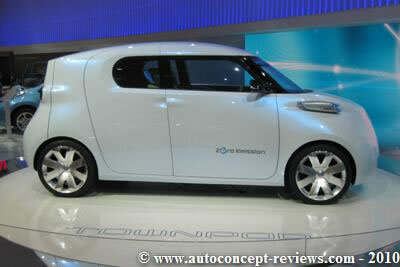 It is expected to deliver 20 kilometres on electric power only. 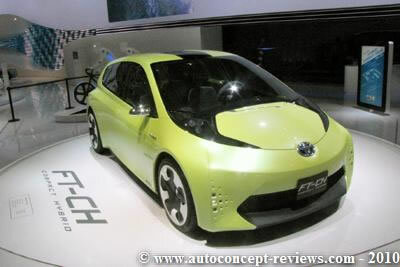 Toyota is running real life testing for more than three years with several hundreds Plug in Hybrid Prius, in Europe, U.S.A and Japan in order to prepare for the commercial launching on the market. VOLVO is developing a V70 break with plug in Diesel electric hybrid propulsion and is aiming at proposing it on the market by 2012. Combined range between electric and Diesel will be 1.200 km with 50 km in electric only for one full battery charge.The electric motor is 100 hp while the Diesel provide 205 hp. The battery pack weights 150 kg. 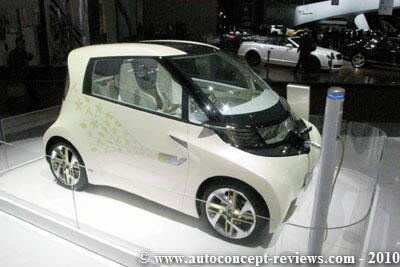 NEDC cycle give a consumption of 1,9 litre per 100 km and 49 g CO2/km. 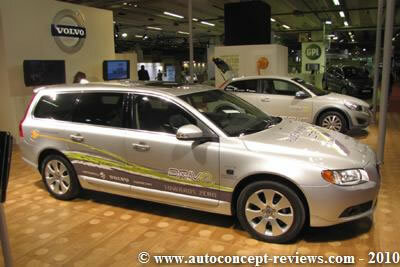 The Volvo V70 break plug-in hybrid is being developed in partnership with Wattenfel Electric Power Company.